Downsizing for seniors can certainly be a bittersweet moment – moving out of a home that you’ve lived in for many years can be a stressful time. However, most seniors understand that there will come a time when they have to change their living arrangements, either to reduce costs, simplify their lifestyle or to address medical needs. But it doesn’t have to get too overwhelming. Here are six essential downsizing tips for seniors. If you have an idea of how big your new living space will be, you’ll be able to better plan how much room you have to work with. If you are downsizing your home, think about how much furniture will realistically fit into each room. Knowing how much storage room you’ll have can also help you decide what stays and what has to go! Another downsizing tip for seniors is to create lists, which can help keep you organised. Have separate basic lists of what you’d like to keep, relocate, store and trash and then ask family or friends to help you sort those items into boxes. For items that need ‘trashing’ or ‘relocating’ enlist their help to organise services or locations where this can be achieved. If you’re contemplating decluttering your home, the first step is to start as soon as you can. Regardless of how long you’ve been living there, it’s never too early to begin sorting through your belongings. Start slowly, go room-by-room and carefully sort through item by item to determine the things that you no longer have a need for. In order to make the task a little less daunting, start with the kitchen or garage (the rooms where less used items often accumulate! ), and avoid tackling bigger rooms when you’re first starting to declutter. If that’s still too much to handle straight away, start with an area that has little emotional attachment, like your laundry or linen closet. Have a firm understanding of your future needs as well. If you’re moving into a one-bedroom residence with little storage, then three tablecloths, four sets of sheets and eighteen tea towels are probably not needed! Downsizing your home can be a daunting process, not least because you have most likely lived at your current home for a long time and there will probably be a lot of things that simply need to be thrown away. But how do you decide on what stays and what goes? If it doesn’t work and a friend or relative can’t fix it, it needs to go. Think about the last time you used an item – if it was six months ago or more, it’s probably worth throwing away or ‘relocating’. Also think about the use of the item and whether it will add value to your life in the future. If you absolutely can’t part with it, it can stay, however just remember that every item that ‘stays’ will take up space in your residence. If you decide to ‘relocate’ some cherished items, think of alternative ways this can be done. Family members are often happy to relocate a relative’s unwanted items into their own homes, and close friends may be thrilled to receive an item that’s been tucked away at the back of your kitchen cupboard for years! Decluttering for seniors can also be made easier if you think about ‘gifting’ items early. Is there an antique piece of jewellery you’ve been saving for your daughter, or a vintage piece of furniture that your grandson has been eyeing off forever? Now is the time to relocate those items – you’ll not only be getting them out of your way, you’ll be able to cherish the joy of gifting that you’ve created, sooner rather than later. Does your home contain multiples of any one item? Most of us can relate to hoarding multiples of something or other, and the kitchen is probably the room that is on the top of the multiple-choices list! Part of decluttering your home is simplifying things, and that means carefully considering whether you need four different sized stock pots, three or four spatulas, and a blender, coffee grinder and a food processor. The answer is probably no! Consider whether you can relocate things – a friend’s grandchild who is moving out of home would probably appreciate a second hand electrical item, and that roasting pan you used every year when your children were young will probably come in very handy if gifted to the current Christmas chef of the family! 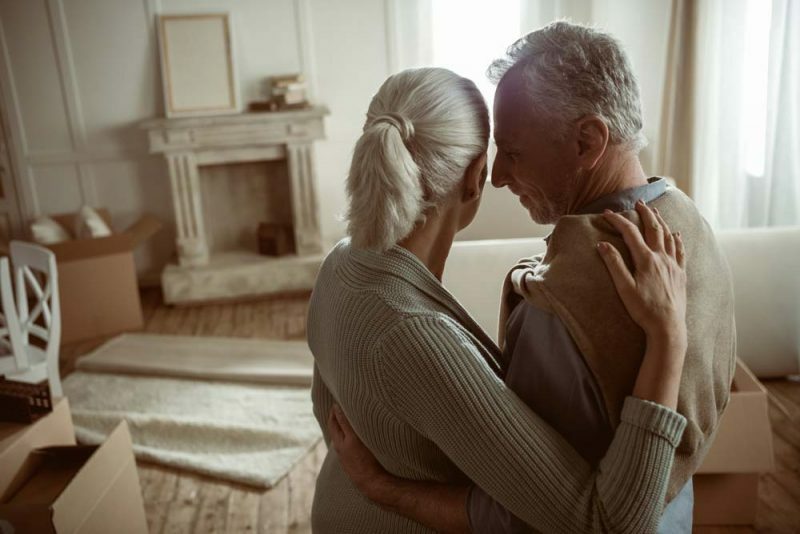 Downsizing for seniors is sometimes not an easy task, and if you’re moving out of a long-occupied family home there will probably be lots of emotion and sentimentality involved. Be kind to yourself. Allow yourself time to reminisce and enjoy the memories, whether it’s sifting through your children’s old pre-school drawings, or sorting through your own mother’s prized linens. Cry if you need to, move onto another room and come back, or ask your loved ones for support if the whole process just becomes too difficult. Yes, you’re decluttering as much as you can, however saving mementos is just as important. Old photo albums can be particularly difficult to relocate because of their bulk, so ask a friend or family member to digitize them for you, and then frame the photos that are particular special to you, so that they’re always close by. Are you a senior who needs help downsizing? Contact the experts at Property Clearance today on 1300 200 292.